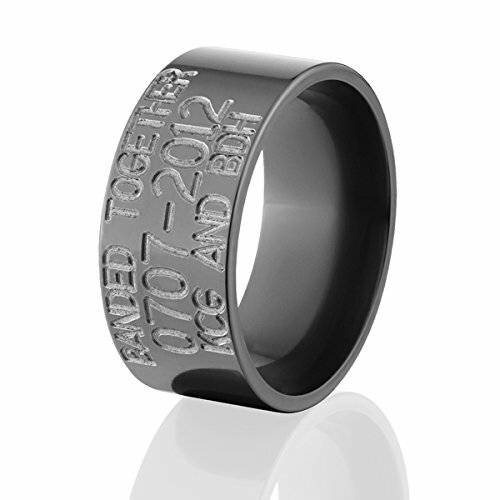 Personalize you own Duck Band today with a significant date, birthday, wedding day anniversary or whatever you would like. This band is durable and rugged meant to withstand your active lifestyle. It is made of Black Zirconium and has a deluxe comfort fit. If you have any questions about this product by Duck Bands By The Jewelry Source, contact us by completing and submitting the form below. If you are looking for a specif part number, please include it with your message.